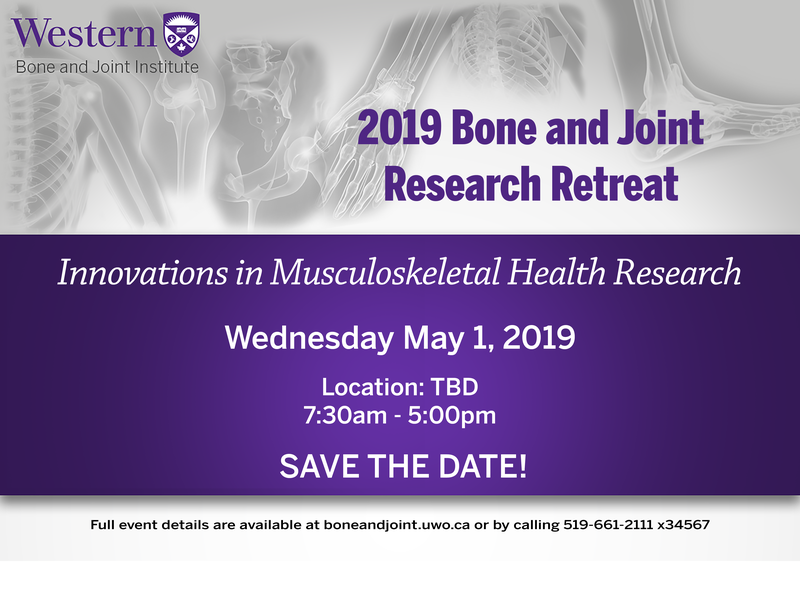 * Bone & Joint Annual Research Retreat: "Innovation in Musculoskeletal Health Research"
On years where the Bone and Joint Institute hosts the Canadian Bone and Joint Conference, only the Trainee development portion of our annual program will be offered. * Dr Suzanne Bernier Memorial Lecture in Skeletal Biology - Dr. Tuhina Neogi, MD, PhD, FRCP, Boston University School of Medicine. * Dr Suzanne Bernier Memorial Lecture in Skeletal Biology - Dr. Nancy Lane, MD University of California, Davis. * Bone & Joint Annual Research Retreat and Banquet: "Innovation in Musculoskeletal Health Research"
On years where the Bone and Joint Institute hosts the Canadian Bone and Joint Conference, only the Trainee development portion of our annual program are offered.